New York Times writes about it politely, as if Noda's (supposedly) direct plea with the Japanese meant anything ("a testament to the deep public distrust gripping the nation"). The readers of this blog knows it was just a ceremony, and it was not even addressed to the Japanese people whose way of life he said he was going to protect by restarting a nuclear power plant that sits on top of an active fault. The press conference was held to please the governor of Fukui Prefecture and the mayor of Ooi-cho where the plant is located, and his speech was addressed to them. Probably New York Times knows, too. But it has to play the game, as the newspaper of record. TOKYO — In a rare personal appeal on national television, Prime Minister Yoshihiko Noda asked for his nation’s support on Friday in restarting the first of Japan’s idled nuclear plants, saying that keeping the plants offline could cause blackouts and economic chaos at a time when the country’s struggling economy can least afford it. That Mr. Noda took his case to the public on such an crucial issue, rather than setting policy behind closed doors, is a testament to the deep public distrust gripping the nation since last year’s nuclear disaster and the government’s playing down of the risks it posed. Despite increasingly dire warnings about the economic effects of a sudden turn from nuclear energy, a majority of Japanese remain unconvinced that it is safe to turn the plants back on. In the 10-minute speech, Mr. Noda spoke in stark terms, saying he had concluded that Japan could not maintain its current living standards without nuclear power, at least in the short term. Responding to the commonly heard argument that Japan is getting along fine without the plants, he said that conservation measures would not be enough in the steamy summer months to overcome the loss of the nation’s nuclear plants, which before last year’s accident supplied almost a third of Japan’s electricity. The need to import more oil and gas to make up for the shortfall has been cited as a major factor behind Japan posting its first yearly trade deficit in more than three decades. Mr. Noda promised better oversight, saying he hoped to restart the first plant in the western town of Ohi quickly, but that he would not restart others until their safety measures had been thoroughly reviewed. His administration has already deemed the Ohi plant safe and considers it a test case for whether the public will tolerate at least some of the 50 idled commercial reactors being brought back into operation. The restart issue has polarized Japan for months now, as the country’s still-functioning reactors went offline, one by one, for regular maintenance. In the uproar that followed the triple meltdowns at the Fukushima Daiichi plant, the government had said it would not restart the reactors without local approval, but officials did not anticipate the depth of public skepticism about the government’s ability to oversee the politically powerful nuclear industry. That skepticism was given a powerful voice in recent months, as the upstart mayor of Japan’s third-largest city, Osaka, became the country’s most popular politician seemingly overnight by demanding more transparency on the nuclear issue and more caution in restarting plants. Still, many Japanese share Mr. Noda’s worry that power shortages could cost jobs and accelerate the nation’s industrial decline, driving more businesses abroad. For weeks, his government has been trying to persuade local leaders to allow a restart of the Ohi plant, which provides power to the heavily urbanized Kansai region, including the cities of Osaka and Kyoto. He has said he wants to restart that plant first because Kansai faces the most severe potential electricity shortages in Japan during the summer, when air-conditioner use surges. The area is also the home to Japan’s struggling electronics industry. The threat of rolling blackouts seems to have persuaded most local leaders to accept at least a temporary restart of the Ohi plant. The Fukui prefectural government, which has been very supportive of nuclear power in the past, is expected to make a decision as early as next week to approve the restart. New York Times puts the demonstrators outside the Prime Minister's Official Residence on June 8 at 1,000. Japanese MSM put at 4,000. Some undercounting. The independent investigation commission of the Fukushima I Nuclear Power Plant accident set up by the National Diet called TEPCO's ex-president Masataka Shimizu as witness on June 8 in an open hearing, and on June 9 held a commission meeting (also open to public) to summarize the main findings so far. Unlike the private independent investigation commission whose report was released in March this year, the Diet's commission concluded that TEPCO did NOT intend to "withdraw completely" from Fukushima I Nuclear Power Plant when President Shimizu was trying frantically to reach the top officials from late March 14 till early hours of March 15 last year. The National Diet's Independent Investigation Commission of Fukushima I Nuclear Power Plant accident (Chairman Kiyoshi Kurokawa) held a public commission meeting on June 9 to organize the issues to be presented in the final report due at the end of June. In the meeting, regarding the proposal from then-President of TEPCO Masataka Shimizu to "withdraw", the Commission acknowledged that "it doesn't consider that TEPCO decided a complete withdrawal [from the plant] and that it is not a fact that the Prime Minister's Office interrupted the TEPCO's withdrawal". Over the proposal to withdraw from March 14 night till early morning of March 15 last year, the officials at the Prime Minister's Official Residence including then-Prime Minister Naoto Kan have been at odds with TEPCO's management. The former understood the proposal as "complete withdrawal", while the latter insisted "they were going to keep the core members at the plant". Based on the testimonies from Mr. Kan, Mr. Shimizu and others, the Commission determined that "there was no intention to withdraw completely". As to the response afterwards, the Commission pointed out that "the key was the sense of mission held by the people at the plant who understood the condition of the reactors best". It criticized the Prime Minister's Official Residence by saying "it intervened in a way that was never intended such as communicating directly with the plant [management], and [the plant management] had to answer the frequent calls." What is not mentioned in the above Jiji article is exactly what word Mr. Shimizu used when he tried to reach Mr. Kaieda (Minister of Economy, Trade and Industry overseeing the nuclear safety agency). In his testimony on June 8, Mr. Shimizu said he consistently used the word "退避 (tai-hi)" when speaking with the government officials and never　the word "撤退 (tettai)" as apparently understood by the officials in the Kan administration and by PM Kan himself. OK, what's the difference? Some would ask "What difference does that make?" Having followed TEPCO's announcements and press conferences since March last year, I've come to notice that the company sometimes use peculiar language that differs significantly from the common-sense understanding of the general public. One such example is the "water puddle" TEPCO said existed in the basements of reactor buildings and turbine buildings early on in the accident. At TEPCO, standing water more than 30 centimeter deep flooding the entire basement is called "water puddle" (水たまり）. Then I noticed the Nuclear and Industrial Safety Agency officials used the same word to describe the flooded basement. More recently, independent journalist Ryuichi Kino noticed TEPCO's new president used exactly the same language as the top bureaucrats at the top ministries. Maybe it does matter, at least to TEPCO and the government officials, what exact language to use in a certain occasion, in order to be precisely understood by the other party. Since I like the saying "The Devil is in the details", I looked up the words in the Japanese language dictionary. To leave the place and avoid danger. The former does have a connotation that the move is temporary, whereas the latter, by removing a position/base, is a permanent withdrawal, in defeat. Both Mr. Kan and Mr. Kaieda also said they thought it was an "all-out" withdrawal, because Mr. Shimizu didn't use the word "partial". Shimizu said he was surprised that the administration understood his carefully chosen word "temporary shelter" - "taihi" as "all-out withdrawal" - "tettai". TEPCO workers and workers from affiliate companies (Hitachi, Toshiba, Kandenko, etc. and their subcontractors) remained at the plant as the radiation levels were several hundred millisieverts/hour and at one point exceeding 1 sievert/hour (see the AP article from 3/16/2011 at the link), with only 2 meals per day and sleeping on the floor as the government refused to provide workers with better food and other provisions. And the world hailed them as heroes as "Fukushima 50". If you were planning on having a quick pint tonight, then this will be welcome news. Beer may contain a vitamin which can fight obesity and improve muscle strength, scientists claim. The ‘miracle molecule’, which has been found in milk and may also be present in beer and some foods, has no side effects and could even lengthen lifespan, they say. The snag is that the molecule, called nicotinamide riboside (NR), is extremely small, difficult to find and expensive to synthesise. Johnan Auwerx, head of the Ecole Polytechnique Federale in Lausanne, Switzerland, said experiments using mice revealed the molecule’s potential. 'NR appears to play a role in preventing obesity,' said Mr Auwerx. Working with Weill Cornell Medical College in New York, his team found mice on a high-fat diet that were fed NR gained significantly less weight – 60 per cent – than mice eating the same diet without NR supplements. And none of the NR-treated mice had indications that they were developing diabetes, unlike the untreated mice. Mice which were fed NR supplements over a ten-week period had better endurance performance than those who were not. They were also in better shape – and this was confirmed by observations of their muscle fibres under the microscope. The molecule works by becoming trapped in cells where it boosts the metabolism, much like resveratrol, which is found in wine. No side effects were discovered during the experiments. 'It really appears that cells use what they need when they need it, and the rest is set aside without being transformed into any kind of deleterious form,' said study author Carles Canto in a statement. Mice who had been fed the molecule also performed better in endurance tests, as well as in tests measuring heat loss. The researchers believe an increase in the molecule reflects an improvement in mitochondrial function, the part of the cell that supplies energy. Mitochondria are thought to play a part in the aging process. It is hoped that by stimulating mitochondrial function with the NR molecule, scientists may see increases in longevity as well as other health improvements. But the molecule is difficult to reproduce and extremely small. 'At the moment, we can’t even measure its concentration in milk, so it’s impossible to know how much you would have to drink to be able to observe its effects,' Mr Auwerx added. Research will continue with human testing at some point in the future. Despite having several major municipalities within the prefecture very eager to accept disaster debris in defiance of him, Hirohiko Izumida, Governor of Niigata Prefecture, is not about to cease his attack on the nuclear policy of the national government. After Prime Minister Yoshihiko Noda declared on June 8 that he would restart Ooi Nuclear Power Plant in Fukui Prefecture to "protect the people's living", Governor Izumida issued his statement lambasting the prime minister. His prefecture has Kashiwazaki-Kariwa Nuclear Power Plant operated by TEPCO. The plant has 7 reactors on site. Governor of Niigata criticizes Prime Minister for his explanation of the need to restart [Ooi nuke plant], says PM is "taking the people's living hostage"
After Prime Minister Yoshihiko Noda explained about the safety of Ooi Nuclear Power Plant operated by KEPCO, Hirohiko Izumida, Governor of Niigata Prefecture that has Kashiwazaki-Kariwa Nuclear Power Plant operated by TEPCO, issued a statement at night on June 8. Governor Izumida pointed out, "It was a limited 'declaration of safety' that 'the plant won't have an accident even if the earthquake and tsunami that struck Fukushima strikes Ooi'. But if it is a different kind of earthquake, such as an epicentral earthquake, they will be able to make an excuse of 'beyond expectation'." He also mentioned that a new nuclear regulatory organization was not in place yet, and made a scathing criticism by saying, "There are no countermeasures firmly in place for an emergency situation. If the plant is restarted, they are creating a new "safety myth". It is extremely irresponsible. [Prime Minister's] declaration takes the people's living as hostage, and disregards safety." His concern for an epicentral earthquake seems well justified. Two university researchers just released their studies on June 8 that raised the possibility that Ooi Nuclear Power Plant is (also) sitting on top of an active fault. The Nuclear and Industrial Safety Agency chief immediately issued a statement denying the possibility. I couldn't find any information on the education background of the current NISA chief Moriyama (whether he is a liberal arts major or science major). Governor Izumida is another former career bureaucrat turned politician. He is from the Ministry of International Trade and Industry (today's Ministry of Economy, Trade and Industry), still considered the most powerful ministry in the Japanese government. FYI, this is Ooi Nuclear Power Plant's aerial photo, from Yomiuri. Reactor buildings are lined up against the mountains that face the ocean, and the turbine buildings are behind the reactor buildings. One smart site planning...(not). Unlike TEPCO's Fukushima I Nuclear Power Plant, KEPCO's Ooi plant does not have the building that would reasonably withstand a strong earthquake and could serve as disaster headquarters on site. Ohio nuclear plant says it has contained small coolant leak: "No threat to the public"
Davis-Besse Nuclear Power Station, operated by FirstEnergy, has a single pressurized water reactor. The plant is 35 years old. TOLEDO — Operators of a nuclear plant in Ohio say they’ve discovered and contained a pinhole-size leak spraying radioactive coolant at the plant. Nuclear regulators and plant operators say the leaking coolant at the Davis-Besse nuclear plant near Toledo never got outside the building and posed no threat to the public. Workers discovered the leak yesterday as they were getting ready to restart the plant after a monthlong maintenance shutdown. A spokeswoman for the plant operated by a subsidiary of FirstEnergy Corp. says they don’t know how much coolant spilled out, but it was contained by its collection system. The plant was last shut down in the fall while its reactor head was replaced. Crews found cracks in an outer concrete wall, but the plant was allowed to restart. 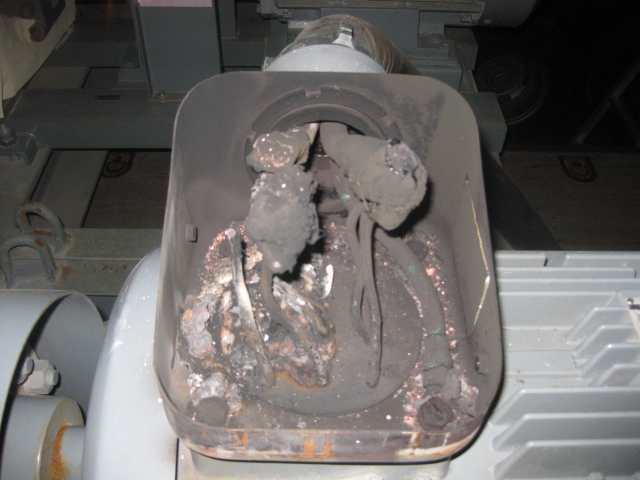 "On June 6, 2012, at 1956 EDT, with the Unit shutdown for refueling, leakage was identified from a 3/4-inch weld during Reactor Coolant System (RCS) walkdown inspections. The leakage amount was approximately 0.1 gpm pinhole spray. "During the performance of MODE 3 engineering walkdown inspections in accordance with procedure DB-PF-03010 (ASME Section III, Class 1 and 2), with the RCS at Normal Operating Temperature and Pressure, a pressure boundary leak was identified on the Reactor Coolant Pump (RCP) 1-2 1st seal cavity vent line upstream weld of 3/4 inch small bore pipe socketweld at a 90 degree elbow between the RCP pump and valve RC-407 (1st Seal Cavity Vent Isolation). The plant was in MODE 3 at Normal Operating Pressure and Normal Operating Temperature (NOP/NOT) for the inspections. 4000 People Protested in Front of PM Official Residence Against Ooi Nuke Plant Restart, Governor of Fukui Is "Satisfied"
That's the largest crowd so far, protesting in front of the Prime Minister's Official Residence. It looks to be a combination of long-time anti-nuclear activist organizations and ordinary citizens. Unlike the protests that take place there regularly these days, the one last night (June 8, 2012) was covered by the MSMs including Mainichi, Asahi, NHK, Kyodo News and AP, and not so MSM Tokyo Shinbun, according to one tweet. Another tweet says there were also Reuters and "Red Flag" - official party newspaper of the Japan Communist Party who has been vigorously covering the nuclear accident, resultant contamination, and Japan's nuclear policies since the accident. On June 8 in front of the Prime Minister's Official Residence in Nagata-cho in Tokyo, about 4,000 citizens protested as Prime Minister Yoshihiko Noda gave a press conference regarding the restart of Reactors 3 and 4 at Ooi Nuclear Power Plant (Ooi-cho, Fukui Prefecture). Yuki Yoshikawa (age 43), a housewife in Asahi-ku in Yokohama City who was originally from Kansai, came with her 3 year-old son. "Ooi Nuclear Power Plant is close to the Lake Biwa, important water source for Kansai Region. Why wouldn't [the prime minister] listen when this many people are against the restart?" she said. Terumi Tanaka, Secretary General of the Japan Confederation of A- and H-Bomb Sufferers Organizations, said, "Restart of Ooi means the first step to continued reliance on nuclear power. If an accident happens, citizens will be made responsible by having to pay [increased] taxes and utility fees." The Council of Mayors Against Nuclear Power Plants, an organization made up of mayors of 68 municipalities in Japan [set up on April 28, 2012] pointed out, "Total overhaul of the organizations that have lost credibility in assessing the safety should be the first priority, including the Nuclear Safety Commission. It is not right to have the same, pre-Fukushima organizations evaluate safety." But the governor of Fukui Prefecture, Issei Nishikawa, is happy with Prime Minister Noda's speech, and he says he will take necessary steps within his prefectural government next week for the quick restart of Ooi Nuclear Power Plant, NHK tweets. The same NHK (Kabun) also tweets that 57% of municipalities within the 30-kilometer radius from Ooi Nuke Plant responded to NHK that they do not have effective measures in the event of a nuclear accident at the plant. It's all part of a ceremony (absolutely nothing more) to restart Ooi Nuclear Power Plant in Fukui Prefecture before the summer peak season starts. The power that be in Japan, whether they are politicians or industry big shots, do not want the situation where there is no nuclear power plant operating and there is no shortage of electricity. Governor of Fukui Kazumi (Issei) Nishikawa, who was a career bureaucrat in the national government, wants Prime Minister Noda to explain to the Japanese that nuclear power is indispensable to Japan, as the condition for agreeing to restart Ooi Nuclear Power Plant. Prime Minister Noda gives a speech saying nuclear power is indispensable to Japan. Governor Nishikawa listens to the speech, and is satisfied that the speech is good. He agrees to the restart, and makes necessary steps in his government for the restart. Prime Minister, on receiving the news that Governor Nishikawa is now satisfied, convenes a ministerial meeting with Edano, Hosono, Fujimura (and Sengoku in the background), and make a political decision to restart the plant, upon his "responsibility" (whatever that means). Prime Minister Noda was making the final arrangement on June 7 for a press conference to explain to the citizens in Japan that nuclear power generation is necessary for Japan's energy policy. The press conference is part of the government effort to restart Reactors 3 and 4 at Ooi Nuclear Power Plant operated by Kansai Electric (KEPCO) (in Ooi-cho, Fukui Prefecture). Governor Issei Nishikawa of Fukui Prefecture is demanding that the prime minister explain to the citizens of Japan about the need for nuclear power plants, as a condition to agreeing to restart the Ooi plant. Governor Nishikawa has said that his prefectural government will proceed with steps to restart the plant if he is satisfied with the way Prime Minister Noda explains during the press conference. After obtaining the governor's consent, Prime Minister Noda is to convene a ministerial meeting right away to make the final decision on the restart of the plant. Within the administration, there were many who were against such a press conference as "the prime minister has already explained the necessity [of nuclear power] in the previous press conferences". However, after conferring with people including Minister of Economy Edano at the Prime Minister's Official Residence on June 7, Noda decided that unless he responded to the Fukui governor's request, the timing for the restart would be delayed. Governor Nishikawa seems to think that having PM Noda speak about nuclear power will convince the Japanese citizens of the need to restart one of many nuclear power plants in his prefecture, according to NHK news on 6/4/2012. Governor Nishikawa knows, however, that for him to say so is part of the ceremony, and one convenient way to evade whatever responsibility in case of an accident. The press conference is supposed to be in the evening of June 8, 2012. Remember those students, and a fierce supporter of them who came to this blog to defend them and trash us? They are now in Fukushima Prefecture. And according to the article below, instead of Soma City they will help clean up MINAMI Soma City where, according to Assemblyman Ooyama the "black dust (substance, bacteria, etc.)" exceeding 10 million becquerels/kg of radioactive cesium is found. Part of Minami Soma City was within 20-kilometer radius "no-entry" zone, another part "planned evacuation zone", another part "evacuation-ready zone", meaning it is rather close to the wrecked nuclear power plant. According to Fukushima Minpo, a local newspaper in Fukushima, the students are learning exactly what the Fukushima prefectural government want them to learn so that they can disseminate "accurate" information about Fukushima to the world. Students from Middle Tennessee State University in the US have arrived in Fukushima as part of the short-term study program started by Fukushima University this fiscal year. The students are cultivating a better understanding of the situation in the disaster-affected areas. The program is intended to have [foreigners] disseminate accurate information about Fukushima Prefecture to the world through understanding of the situation of the Fukushima I Nuclear Power Plant accident. 10 students and 2 instructors from the University arrived in Fukushima on June 5. They attended a radiation protection seminar at Fukushima University on June 6. Kenji Oose, specially appointed assistant professor at the Fukushima Future Center for Regional Revitalization at Fukushima University, explained about the change in radiation levels in Fukushima Prefecture and the different evacuation zones. The students were asking questions such as "What are the health risks caused by radioactive materials?" and "What are the measures to eradicate baseless rumors?" During their stay till June 15, the students will do volunteer work in Minami Soma City. Fukushima University's Fukushima Future Center for Regional Revitalization happily tells us the abbreviation of its name is "FURE" - FU from FUkushima and FUture, RE from REgional and REvitalization. That is a bit unfortunate, for the English speakers might associate FU with something else entirely. TEPCO sent carbon-based workers down to the Torus Rooms of Reactors 2 and 3 on June 6 to measure the water levels. No information about how long the work took, but the maximum radiation exposure for the workers was 6.49 millisieverts for going into both Reactors 2 and 3. No information about how many workers (or whose workers) TEPCO sent in. Probably the company sent in its own employees because of the high levels of radiation. The water levels in "O.P" (Onahama Peil) are indicated in the first slide below, but if the mid point of the torus is OP1900 and the water levels measured are about OP3000 (as per the last slide), and the mid basement level is OP4000, the picture is not exactly to the scale. with some invasive marine species hitching the ride across the Pacific Ocean of about 5,000 miles. A nearly 70-foot-long dock that floated ashore on an Oregon beach was torn loose from a fishing port in northern Japan by last year's tsunami and drifted across thousands of miles of Pacific Ocean, a Japanese Consulate official said Wednesday. A commemorative plaque on the dock showed it was one of four owned by Aomori Prefecture that broke loose from the port of Misawa on the northern tip of the main island, Deputy Consul Hirofumi Murabayashi said from Portland, Ore.
One of the four docks turned up several weeks later on an island south of Misawa, but the other two are still missing, said Akihisa Sato, an engineer with Zeniya Kaiyo Service, the dock's Tokyo-based manufacturer. The docks weigh 165 tons each, Sato said. The one that floated to Oregon was first spotted floating offshore Monday, and mistaken by several people for a barge, said Chris Havel, spokesman for the Oregon Department of Parks and Recreation. It washed ashore early Tuesday on Agate Beach, a mile north of Newport on the central Oregon Coast. It's made of concrete with a metal pontoon and measures 66 feet long, 19 feet wide and 7 feet high. The distance between Japan and Oregon is roughly 5,000 miles. A starfish native to Japan was among the marine life still clinging to the structure after the long voyage, Havel said. "This is tsunami debris, not just from Japan, but from the tsunami itself," Havel said. John Chapman, a research scientist at Oregon State University's Hatfield Marine Science Center, said hundreds of millions of other organisms also hitchhiked across the ocean on the dock — some of which are invasive species never before seen on this part of the West Coast. Among the organisms are a species of tiny crab that has run wild on the East Coast but not on the West, and a kind of algae that has hit southern California but not Oregon, Chapman said. "This is a very clear threat," he said. "It's exactly like saying you threw a bowling ball into a China shop. It's going to break something. But will it be valuable or cheap glass. It's incredibly difficult to predict what will happen next." A radiation check of the dock came up negative, which was to be expected if the dock broke loose before the nuclear power plant accident triggered by the waves, Havel said. The parks department was overseeing efforts to identify and remove the dock. Remember the fire on board the USS Miami, a nuclear submarine, at a navy shipyard in Maine on May 24? According to the US Navy investigation, the fire may have been caused by a vacuum cleaner. The fire resulted in the damage of more than 400 million dollars. No details of the vacuum cleaner yet. (CNN) -- A fire last month aboard a U.S. nuclear submarine that caused more than $400 million in damage may have been caused by a vacuum cleaner, the Navy said Wednesday. "Preliminary findings indicate the fire started in a vacuum cleaner used to clean work sites at end of shift, and stored in an unoccupied space," the Portsmouth Naval Shipyard Congressional and Public Affairs Office said in a news release. "Specific details as to the cause and subsequent damage assessment are still being evaluated as part of ongoing investigations and will be released at a later date." Public Affairs Officer Deb White said she did not know what kind of vacuum cleaner had been implicated in the blaze or whether the same machine was used by any other nuclear submarines. The May 24 incident affected the forward compartment of the USS Miami, where the crew's living quarters, command and control spaces and the torpedo room are, the release said. "Miami's nuclear propulsion spaces were not affected by the fire," the release said. "The ship's nuclear propulsion plant was not operating at the time and the plant had been shut down for over two months. Nuclear propulsion spaces were isolated from the forward compartment fire early and spaces remained habitable, manned and in a safe and stable condition throughout the entire event. There were no torpedoes or other weapons onboard the submarine." Cleanup in the forward compartment began last week and the Navy estimated an "initial rough repair cost" of $400 million, plus some 10% for what it called "secondary effects," including disruption to other planned work in the shipyards and the possible need to contract work to the private sector. Shukan Asahi Ridicules Government Plan to Station Senior Vice Minister at Ooi Nuke Plant: "Is That Stupid Or What?" Shukan Asahi, a major weekly magazine in Japan, doesn't say so itself. Instead, it quotes an unnamed, high-ranking manager at Fukushima I Nuclear Power Plant, as it has been doing since last year when reporting "insider" stories of the plant. I have no way to verify whether this high-ranking manager does exist, or whether it is Shukan Asahi's way of speaking out frankly by hiding behind a fictitious character. I'm more inclined to believe he actually exists, having read other Shukan Asahi's articles quoting this manager. The article is in response to Prime Minister Noda and his administration's determination to restart Ooi Nuclear Power Plant, on Noda's responsibility, with safety assured by "stationing a senior vice minister" of Economy, Trade and Industry. High-ranking manager at Fukushima I Nuke Plant on the plan to station a senior vice minister: "Is that stupid or what?" How can this government talk about "restart", when the Fuku-I nuclear accident is not over? The government says it will station either a Senior Vice Minister or the Parliamentary Secretary of the Ministry of Economy, Trade and Industry [at Ooi Nuclear Power Plant]. But a senior vice minister cannot do anything [doesn't know anything]. If no accident happens if a senior vice minister is there, then let senior vice ministers stay in all nuclear power plants in the country. This talk [of stationing them at Ooi Nuclear Power Plant so that the plant can be re-started] means some people from the ministry and the electric company [plant operator] will have to be there to babysit the senior vice minister. I think that's just stupid. Prime Minister Yoshihiko Noda is saying "In the end, I will decide on my responsibility as the prime minister." What responsibility? If Prime Minister Noda, like a god, could prevent a nuclear accident from happening, we would have no worry. Mr. Kan (former Prime Minister Naoto Kan) was at the top when the accident happened. He hasn't taken any responsibility, has he? Same with Mr. Edano, who was Chief Cabinet Secretary. From the hearings of the Diet independent investigation commission, their "irresponsibility" is very clear. (UPDATE 2) TEPCO restarted the cooling after 6PM on June 6, using the backup system (which was not broken by the way). The SFP water temperature had risen to 42 degrees Celsius. 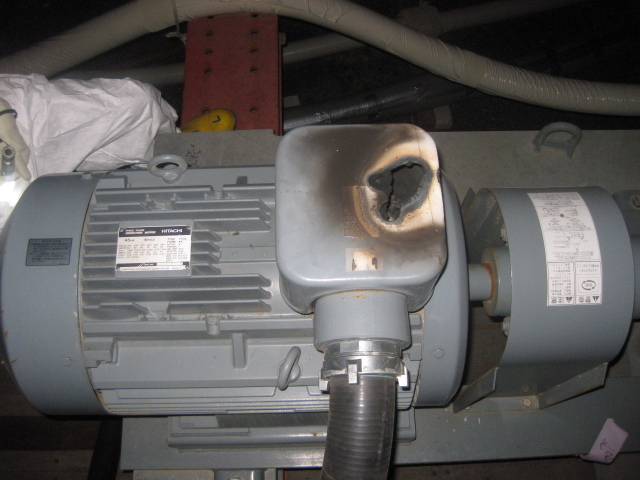 (UPDATE) It may take 3 days before TEPCO can fix the problem (wires not insulated well) in the backup motor. The rise in temperature of the SFP water is expected to be 0.3 degrees Celsius per hour, so in 3 days the temperature of the SFP water may rise by 21.6 degrees to 56.6 degrees Celsius (as the current temperature is 35 degrees Celsius, as tweeted by Councilwoman Kuniko Tanioka, who obtained the information by calling the NISA). As of 5AM on June 6, the temperature of the Reactor 4 Spent Fuel Pool is 38 degrees Celsius. PM Noda: "Ooi Nuclear Power Plant Restart Is Necessary for the Growth of Japanese Economy"
or something to that extent, empty words. How would a restart of two reactors in Kansai ignite the growth of the overall Japanese economy that's been stagnant for the past 20 years? Prime Minister Yoshihiko Noda spoke in the press conference in the afternoon of June 4 about the restart of Reactors 3 and 4 of Ooi Nuclear Power Plant operated by Kansai Electric. The final decision to restart the reactors is to be made shortly. He said, "We will vouch for the safety. The restart is necessary for the overall growth of the Japanese economy and society." He added emphatically, "If we can obtain the understanding of the municipality where the plant is located, we will decide in the meeting of the ministers involved. I will be the one ultimately responsible for the decision." Noda seems to think that the vote he got in the leadership election of his party last year is a vote of confidence and a carte blanche from the electorate, giving him the power to do whatever he thinks necessary (or his handlers think necessary). As I mentioned before, there are 4 ministers including Noda who are involved in the matter of restarting the plant. The other three are Yukio Edano (Minister of Economy, Trade and Industry), Goshi Hosono (Minister of the Environment, minister in charge of the nuclear accident), and Osamu Fujimura (Chief Cabinet Secretary), who have been all plodded by Mr. Yoshito Sengoku, acting chairman of the policy bureau of the Democratic Party of Japan, who says "No restart of nuke plants means a mass suicide of Japan". Someone watching the press conference tweeted, "Prime Minister sounded like a high school student reading the speech." That's about right, but maybe an insult to high school students. After citing unnamed "officials" warning about a "catastrophe" if the Reactor 4 building collapses, BBC news quotes a Dounreay manager who says their experience in cleaning up contaminated beaches and seabeds could help TEPCO in the clean-up of Fukushima I Nuclear Power Plant and its immediate vicinities. Efforts to clean up a seabed off Scotland's coast could provide Japan with solutions to dealing with its earthquake-hit Fukushima nuclear plant. Radioactive particles were flushed from Dounreay in Caithness into the sea through the plant's liquid discharge pipe in the 1960s and 1970s. The fragments contaminated local beaches and seabed. Work to recover the seabed particles started in 2008. Staff from Dounreay have been to Japan to offer advice. The Fukushima Daiichi nuclear plant was crippled after being hit by a tsunami in the aftermath of a huge earthquake in March 2011. Radiation leaks were recorded following subsequent explosions and fires. Late last month, power company Tepco said reactors at the plant were stable. But there was concern about the spent fuel pool on the top floor of the badly damaged reactor number four building. If it collapses, it could cause another catastrophe, officials have warned. But Tepco said it has reinforced the structure against another earthquake. Meanwhile, tens of thousands of residents remain evacuated from an exclusion zone around the plant. Phil Cartwright, senior manager in charge of contaminated land clean up at Dounreay, said lessons learned in Scotland could help Japan deal with radioactive contamination. He said: "At Dounreay, we had a release of radioactive material beyond the site, increasing public anxiety in the late 1990s about the potential health effects and controls put in place to protect public health." A strategy was produced to deal with contamination, including efforts to detect and recover particles from the seabed near the site, he said. Mr Cartwright added: "Japan is at the start of a much bigger clean-up project with significant challenges both on and off site but the issues they face are similar to those we had to work through, even though ours were on a much smaller and more localised scale. "They were very interested in our experience." Dounreay has already donated equipment to Japan for use in dealing with the damaged Fukushima Daiichi complex. Dounreay Site Restoration Limited (DSRL) gathered a van-load of respirators, hand-held radiation survey kit, masks and suits. The equipment was driven to Sellafield, in Cumbria, for distribution. They will speak with the governor of Fukui, and after some token "negotiation" the governor will give a go sign to restart Ooi Nuclear Power Plant as the national government says it will be somehow "responsible". Fukui Governor Nishikawa always wanted the extension of Hokuriku Shinkansen (bullet train) to Fukui. Give and take, the traditional Japanese way. Just when Edano was in Fukui the last time, the police is there to protect the power that be. At least they are protecting human beings (no matter how depraved); the police in Kitakyushu City was protecting the disaster debris against residents. By the way, even if the plant is restarted, the utility company Kansai Electric may still do the rolling blackouts anyway, according to the latest. such as chickens squawking loud for no good reason. Probably better predictor than Japan Meteorological Agency, whose seismograph reportedly went overscale and couldn't issue an accurate measurement of the size of the March 11, 2011 earthquake in a timely manner and totally screwed up on the tsunami warning. The city, Susaki City, is located on the coastal area of Kochi Prefecture in Shikoku Island. A Japanese city is considering introducing a tsunami warning system which involves looking out for abnormal behaviour in animals and monitoring water levels in wells for signs of an imminent disaster. The southwestern coastal city of Susaki is contemplating studying whether a rapid lowering of water in wells or chickens squawking loudly for no apparent reason are indicators of an impending earthquake and tsunami. "They may not foretell a future disaster in a perfectly accurate manner, but the most important is to analyse such data thoroughly," said deputy mayor Yoshihito Myojin, according to a regional broadcaster late last month. Over the years many tales about natural phenomena have been passed down as signs of an impending natural disaster in Japan, including abnormal movement of fish and cats fleeing their homes. Experts warned in April that a 35-metre (115-foot) tsunami was in danger of hitting the Japanese coast in the wake of a massive earthquake as it revised its worst case scenario projections following last year's disaster. The news came as Jiji Press reported that the Tokyo metropolitan government is mulling whether smartphones and car navigation systems can guide drivers during mass evacuations when the next big quake rocks the capital. When the 9.0-magnitude tremor struck off northeastern Japan in March 2011, heavy traffic jams paralysed central areas of the capital, blocking fire engines and other emergency vehicles. After the Indonesian earthquake on December 26, 2004 and before the tsunami hit, elephants were seen heading up the hill. People who followed the elephants survived. Following the big US dump on Friday last week, Asia opens deep red. The best performing bourse is New Zealand, down only 1%. The worst is South Korea's KOSPI, down 2.60%. Tokyo's Nikkei is down 177 points, or 2.1%. Worse for Japan, despite the Bank of Japan's intervention, yen keeps rising. The US stock market futures are equally ugly, with Dow futures down 98 according to Bloomberg News. There are some analysts who have been saying this feels the same as the summer of 2008. We know what came in the fall of 2008.